Presenting a Pim Yai (Large size - 6 x 4.5 Cm) Pim Niyom (preferred) Master Class Exhibit, of a very rare and extremely beautiful hand carved Pra Rahu Asura Deva amulet, with the classic and preferred features of a Pra Niyom Preferred Category amulet, with the finer carvings of a top artisan, making this exhibit an extremely attractively fashioned front face design, with inscriptions from Luang Por Pin visible on the rear face, fulfilling all the requirements for Pra Niyom Classification. This exhibit is visibly recognizable as having been carved by one of the preferred master-artisans of Wat Sri Sra Tong, and contains all of the desired traits necessary to make this a Pim Niyom Master-Class amulet of Showcase Quality, and a pristinely hand carved sacred art piece that is rare to find in this day and age with this level of detail. 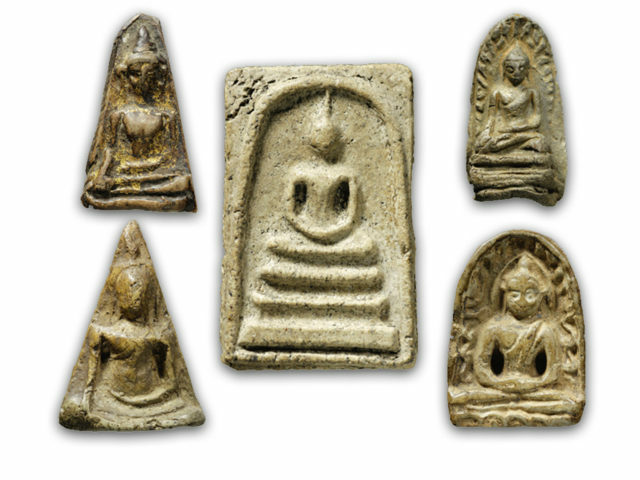 Most of Luang Por Pins carved Kala ta Diaw are less finely carved that this exhibit, which is for this reason a highly desirable acquisition for those who place value on the visual aesthetics, for showcase and competition, and for perfect aesthetics when worn as a pendant. The front face Bears the image of Pra Rahu Asura Deva, swallowing the moon and sun, the interior details of the amulet have been fashioned with very detailed and Masterfully made decorative carvings in the 'Gleep Bua' Lotus Petal shape. 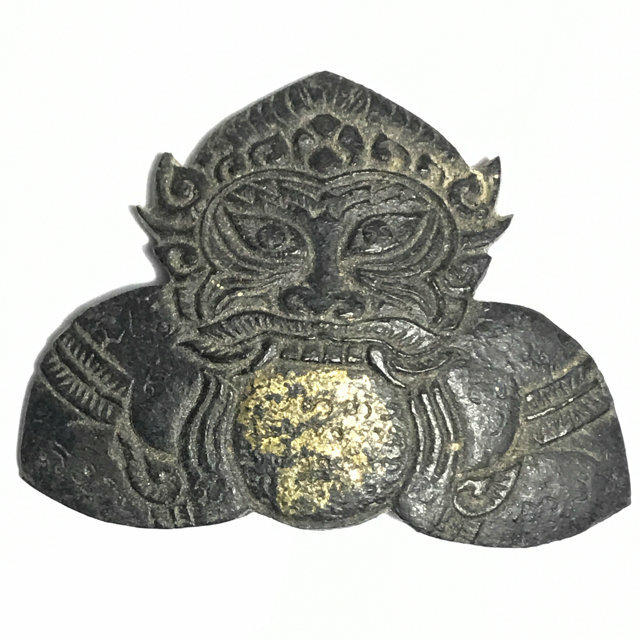 This full top half torso shape is unusal, and rarer to find than the Pim Sema Kwam shield shape, for which the Pra Rahu Amulets of Wat Sri Sa Tong are so famous for. 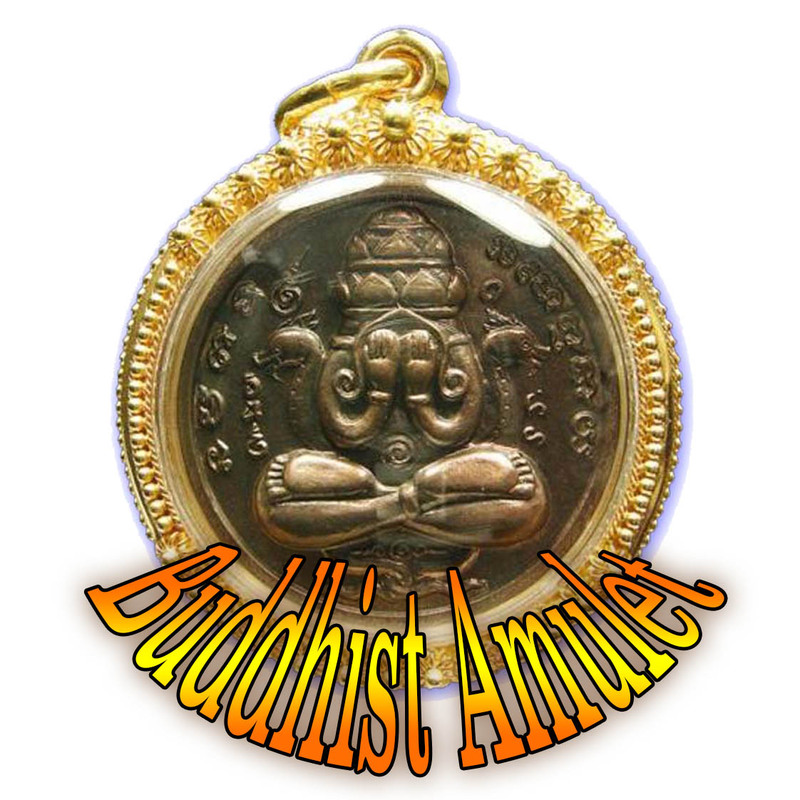 The amulet is also honed down to be very flat and slim, which is an effect so very difficult to achieve, but which the Wicha of Luang Por Pin, and his Kroo Ba Ajarn Luang Por Noi, allows to fashion the curve out of the coconut shell, by soaking the shells in sacred oils before they are carved.